The Marvel Cinematic Universe may have been around for seven years now, but it turns out Hollywood’s first major shared universe is just getting started – and we’re actually standing on the cusp of Marvel’s golden age. Phase 2, which spanned from May 2013 to this past July, has been an incredible success for the company, producing highly profitable films (even the smaller Ant-Man) and spawning a whole cavalcade of television series, from the flagship Agents of SHIELD to the highly popular Daredevil on Netflix. Normally, such an impressively prodigious period would be labeled as a golden age, but that only goes to show just what Marvel Studios has up its sleeve for Phase 3. Ready to count down how the next five-year period looks poised to be the best comic-book period of all time? 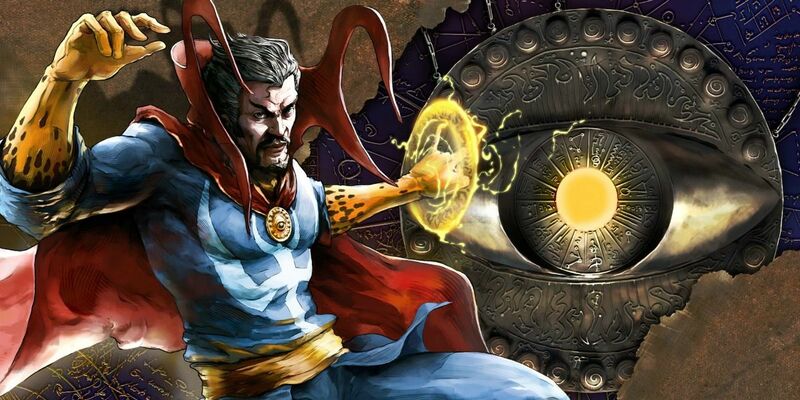 Let’s get into the 10 Reasons That Phase 3 Will Be Marvel’s Golden Age. One of the greatest hallmarks of the Marvel Cinematic Universe thus far has been its continuity: Iron Man (Robert Downey, Jr.) guest stars in The Incredible Hulk, The Avengers showcases both Loki (Tom Hiddleston) and the Tesseract from Thor, and Captain America: The First Avenger stars Tony Stark’s father, Howard (Dominic Cooper). Phase 2, of course, took this idea and ran with it, formally introducing the Infinity Stones and revealing that Thanos (Josh Brolin) has been pursuing a master plan in regards to them all along. All of this looks to explode on an exponential level starting next summer. 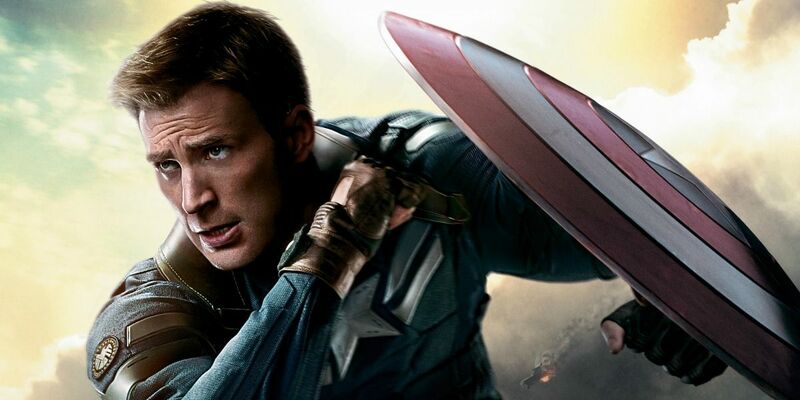 Captain America: Civil War will star 12(!) 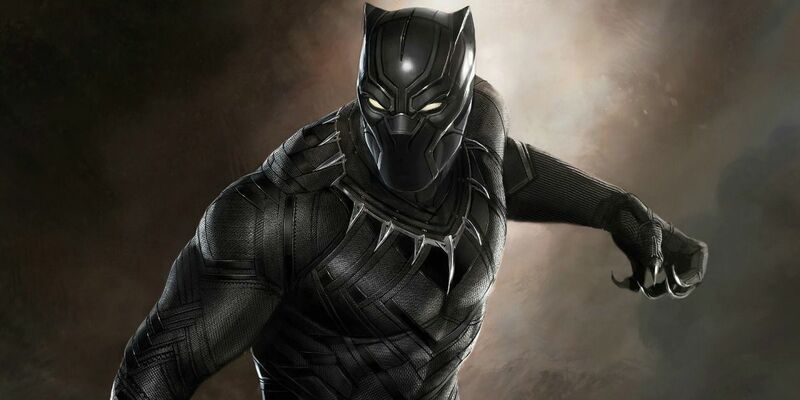 superheroes, including all six current members of the Avengers, along with two brand-new faces in the form of Spider-Man (Tom Holland) and Black Panther (Chadwick Boseman) – who will then get their own spinoff films a year or two later. This is a first for Marvel Studios, which traditionally liked to release characters’ solo movies first, before teaming them up, and it may underscore just how pervasive the inter-connectedness of the MCU is becoming. It also may betray another, more important fact: this is the stated business model of the fledgling DC Extended Universe (which officially kicks off next March), and Marvel’s new strategy could be an indication of how nervous studio heads are about the sudden competition. One of the great surprises about Phase 2 was the injection of brand-new genres into the comic book staple: Captain America: The Winter Soldier was a political thriller, while Ant-Man was a heist picture and Guardians of the Galaxy, a comedic space opera. Phase 3 looks to expand on this, with Doctor Strange being a psychedelic trip down the astral plane; Ant-Man and the Wasp will be Marvel’s first team-up (another nod to DC and its Batman v. Superman: Dawn of Justice); and Black Panther, Captain Marvel, and The Inhumans further broaching new territories, whether that be the heart of the African jungle or the depths of interstellar empires. The necessity of such expansions cannot be overstated – as both the Marvel Cinematic Universe and its actors continue to get long in the tooth, new blood will need to be injected into the proceedings in order to keep the experience fresh and the cast dynamic. Spider-Man is the single biggest money-maker for Marvel, both in the print and cinematic mediums (though the meteoric rise of Iron Man within the past decade could give Spidey a run for his money). This has been the single biggest reason why Sony has been loath to give up the filmic rights to the character, despite the floundering of two separate movie series within the past eight years. When the web head’s sheer potential is combined with Marvel Studios’s storytelling expertise, there all sorts of dizzying possibilities suddenly in play, and they’re only heightened by the integration of the character into the MCU family. The Civil War storyline just wouldn’t be the same without him, and having Spider-Man possibly fight alongside the Avengers in the two-part Infinity War is downright spectacular. But forget being fully integrated – the greatest prospect for audiences is the fact that they can finally see a fully realized Spidey on the big screen. After the cartoon amateurishness of Sam Raimi’s version and the bungled handling of Marc Webb, the world can finally rest assured that it will be seeing an authentic, long-form representation of what comic readers have been enjoying for the past 53 years. 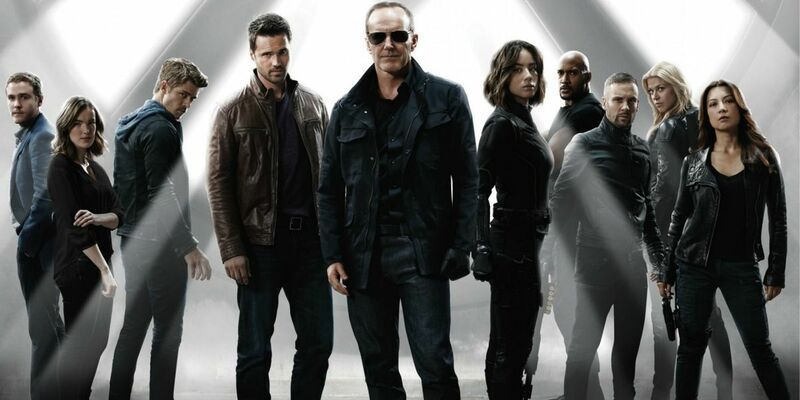 Ever since the September 2013 premiere of Agents of SHIELD, viewers have been treated to a near-constant window into Marvel’s shared universe. When SHIELD breaks for its mid-season hiatus, Agent Carter takes over, and after the season finale in the summer, it is the movies’ turn to step into the spotlight. Even so, the films themselves have been relegated to the rather tight confines of the summer blockbuster release period of May, June, and July. Phase 2 slightly expanded this to include the non-traditional months of April and November, but Phase 3 is eager to blow the release window wide open to include literally the entire calendar year; Black Panther is now slated for February 2018, with Captain Marvel following in March 2019. Why does this matter? Easy – if Marvel isn’t beholden to traditional movie-going seasons, it has total creative control over its projects, from their conceptualization to their release dates, potentially allowing story to reign supreme as the studios’s main concern. Though there may be some debate, among fans and – possibly – Disney itself, as to whether Age of Ultron was a worthy follow-up to the first Avengers, there is no denying that both installments stand testament to the sheer spectacle that is Marvel’s signature franchise. 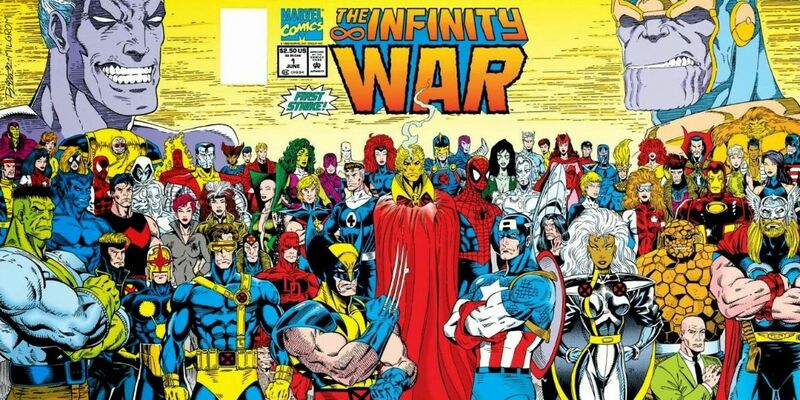 Infinity War, the third entry, looks to be the biggest comic book film of all time, incorporating a roster of characters and story threads that have been carefully cultivated across the previous 18 films. It’s easy to see why the company is breaking it up into two parts. Details are, of course, scarce at this early stage in the game, but we already know that all the traditional Avengers (Iron Man, Captain America, Thor, the Hulk, Black Widow, and Hawkeye) will be teaming up with the newer members (War Machine, Falcon, Scarlet Witch, and the Vision) and, just possibly, the newest wave of recruits (Doctor Strange, Spider-Man, Black Panther, Captain Marvel, and, possibly, the Inhumans’ royal family). If that’s not enough to get you excited, the comic source material sees Thanos finally acquire all six Infinity Stones and wipe out half the sentient life in the cosmos. Now that’s a climax worthy of 21 movies. The firewall between Marvel’s film and television divisions is both well-entrenched and well-known, but it’s looking increasingly likely that it will be eroded, if not fully eradicated, by Phase 3's end. Even Kevin Feige, the president of Marvel Studios, has recently said as much – a positive sign if ever there was one. Why? First there’s the increasing continuity. Agents of SHIELD has made Agent Phil Coulson (Clark Gregg) the new director of SHIELD, introduced (in grand form) the Inhumans, and destroyed – and then rebuilt – Hydra. It’s Coulson’s new, sleeker, secret organization that is responsible for Age of Ultron’s rebuilt Helicarrier, and it’s already helping to pave the way for Captain America: Civil War’s climactic showdown between different superhero factions. It’s only so long before Coulson is forced to directly collaborate with the Tony Stark-financed Avengers. Then there’s the enormous success the small-screen Marvel outings have been accumulating. Daredevil is the fastest show in Netflix’s history to receive a new season pick-up order, and it’s only the first of five Marvel productions for the streaming service, culminating in yet another superhero team-up, The Defenders. And Marvel’s already been hinting that Daredevil, Jessica Jones, Luke Cage, and Iron Fist could very well join the Avengers in Infinity War; if audience demand continues to build like this, it’ll be a slam-dunk. 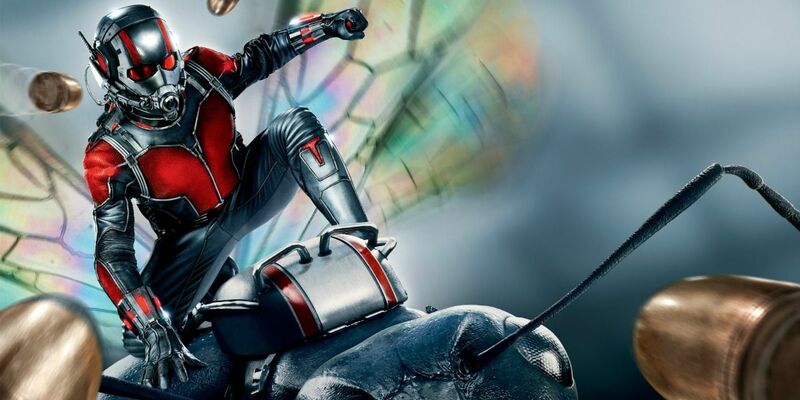 Ant-Man had a lot going against it: it’s quirky, unusual, and surprisingly continuity-heavy (good luck watching it if you haven’t already seen The Avengers: Age of Ultron, which, in turn, requires viewing nearly every film before it). Oh – there’s also the fact that the titular hero shrinks in size and communes with ants. An easy sell it was not, which is undoubtedly why it was the weakest-performing Phase 2 film. Despite all this, however, Marvel Studios has commissioned a sequel, which is a testament to the company’s willingness to invest in new (and off-beat) properties as its original ones, such as Iron Man, conclude. It’s also proof positive of the solvability of its business plan: by keeping its budgets low, the movies can still be profitable (yes, even in the case of Ant-Man’s $500 million haul), and by having Paul Rudd’s ant-sized character pop up in the likes of Civil War and Infinity War, the studio knows that any future installment is almost guaranteed to have a bigger box office. Even if Phase 3 sees a decline in ticket sales, Marvel still has a long-lived path ahead of itself, meaning that Phase 4 will likely remain a viable possibility no matter what. Building upon pre-established successes is one thing, but Marvel should be looking to simultaneously address its failures, as well, particularly those inherent in its storytelling modus operandi. The lack of deaths ranks at the top of this list; no matter how high the stakes or how insurmountable the odds, it’s practically a given that our heroes will not only succeed, but will walk away to fight another day. Luckily enough, the contracts of all the Phase I actors, from Captain America (Chris Evans) to Nick Fury (Samuel L. Jackson), are quickly approaching their end. This means that Marvel will be forced to either capitulate to new deals with the original crop of superstars or to shuffle its characters off of this mortal coil. With the absolutely huge potential roster of The Avengers: Infinity War, having a few deaths would make logistical sense – and may, in fact, be part of the studios’s design in bringing so many faces, both old and new, together. It also would serve as one of the best possible denouements to the MCU, generally, and Phase 3, specifically. Before Marvel Television exploded onto the scene as a resounding success (there’s currently four shows on the air, with at least six more currently being developed), there was a little program called Marvel One-Shots. The short films, ranging from four to 15 minutes in length, were designed to be vehicles for those characters from the films or plot points from the comics that couldn’t otherwise be showcased in the major theatrical releases. The short-form stories were so successful, they convinced Disney’s leadership to invest in the television format (Agent Coulson was the star of most of the One-Shots, leading to his headlining Agents of SHIELD). Disney may have concluded that their continued existence is somewhat redundant, but, creatively speaking, this couldn’t be further from the truth – even though the TV shows represent a lot more opportunities to include elements from the comics, there’s still only so much that can be covered while ongoing narratives need to be maintained. Now, more than ever, experimentalism is desirable; if Agents of SHIELD and Agent Carter were the results of the first batch of shorts, after all, the sky’s the limit for the second. In October 2014, Marvel Studios held a special event to reveal the entirety of its nine-movie Phase III lineup – an unprecedented move, and one no doubt brought about by Warner Bros’s similar DC Extended Universe announcement shortly beforehand. Since then, the company’s been forced to alter the roster twice, in order to accommodate the new arrivals of Spider-Man and Ant-Man and the Wasp. The resulting change-up of release dates may give obsessive-compulsive fans everywhere headaches, but it underscores a reality of Marvel Studios’s functioning that has gone largely unnoticed up until now: it’s constantly revising its movie plans, swapping out release dates and, even, intellectual properties as the reality on the filmmaking ground changes. Kevin Feige has openly talked about having a contingency plan for every possible scenario based on the likes of actor contracts and box office results; it’s just now that audiences get a behind-the-scenes peek at what that process looks like. It’s a reassuring sign of just how committed the company is to providing the best lineup of characters and stories possible – and few lineups are as wide-ranging as is the current Phase III. Did we miss a reason that Phase III will dominate anything that Marvel has done to date (or Warner Bros will be doing with the DC Extended Universe in the near future)? Do you think we’re over-estimating Marvel’s upcoming performance? Sound off in the comments below.